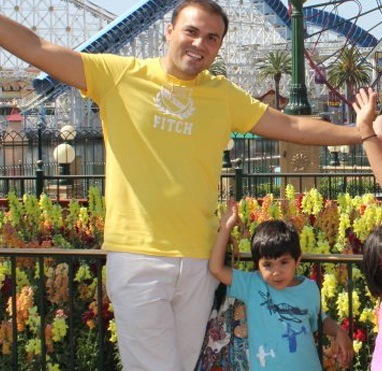 Since Muslim groups like CAIR believe in freedom and tolerance (even though they support terrorism behind closed doors), we might expect them to campaign for the safe return of former Muslim Saeed Abedini. Unfortunately, CAIR and other groups are too busy complaining about Islamophobia to show any concern for the open, Sharia-based, state-sanctioned persecution of Christians in Muslim countries. IRAN (Fox News)--A 32-year-old Iranian who is a U.S. citizen and a Christian convert has been imprisoned without notice of any formal charges while visiting his family in Iran, according to his wife and attorneys in the U.S., who are now hoping that a media campaign will help set him free. The Rev. Saeed Abedini, who lives in the U.S. with his wife and two young children, was making one of his frequent visits to see his parents and the rest of his family in Iran, his country of origin and where he spent many years as a Christian leader and community organizer developing Iran's underground home church communities for Christian converts. On this last trip, the Iranian government pulled him off a bus and said he must face a penalty for his previous work as a Christian leader in Iran. He is currently awaiting trial at Iran's notoriously brutal Evin Prison, where he has been incarcerated since late September. "When he became a Christian, he became a criminal in his own country. His passion was to reach the people of Iran," Naghmeh, his wife, said in an exclusive interview with Fox News. "He comes from a very close-knit family, and he loved evangelizing and passing out Bibles on the streets of Tehran. This was his passion," she said. In July, Abedini left his wife and kids to go to Iran to visit family and continue a humanitarian effort he began years ago to build an orphanage. After a short visit to a nearby country, Abedini was traveling back into Iran to catch his flight back to the U.S. when members of the Iranian Revolutionary Guard stopped his bus near the Turkey-Iran border and pulled Abedini from the bus, confiscating his passports and subjecting him to intense interrogation, according to his wife. After weeks under house arrest and many calls to Iran's passport control office about the status of his confiscated passport, Abedini was told that his case has been referred to the Revolutionary Guard, the Iranian government's elite military force. Naghmeh, we're with you in prayer...BIG TIME!!! More importantly, the LORD is with you AND with Saeed! Take courage! We belong to the Lord! Another day, another persecution. Just another day in the ummah.